You know how everything old is new again? 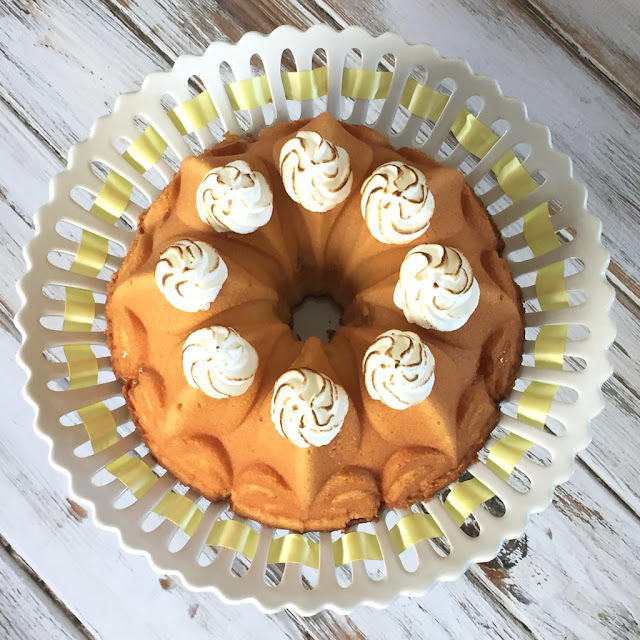 Well this month's theme for #BundtBakers is Retro Desserts Recreated as Bundts - how fun is that? We were all asked to pick a dessert from a bygone era and turn it into a bundt cake. There were so many good choices but I went with the classic Lemon Meringue Pie. I tried to stay true to the pie, so I made sure I had a graham cracker crust, lemon curd as a filling and meringue on top. It is a little hard to make the curd stay in one even layer so I compromised and placed half the batter in the bundt pan, and then placed large spoonfuls of lemon curd over the top of it and this seemed to work well. My family loved this bundt. Lemon is such an amazing flavor in desserts, and this one delivers with lemon juice, lemon zest, and lemon curd, which sounds like a lot but it works. I also loved that when you flip the bundt out of the pan you end up with a graham cracker base. A little meringue piped on the top completes the recreation. You could definitely add more meringue than I did, but I liked the little piped rosettes. 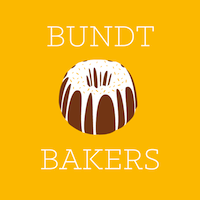 If you would like to know more about #BundtBakers and see what the other bakers made for the Retro Desserts Recreated as Bundts theme please scroll down below the recipe. Thank you to Stacy from Food Love People Lust for helping me with updating the links as I am on vacation In Australia at the moment. Grease and ﬂour a 12-cup bundt pan and set aside. Mix the ﬂour, baking powder, and salt in a separate bowl. Keep the mixer running on low and add the vanilla and one egg at a time. Scrape the bowl with a spatula, then, turn the mixer on low again and add the buttermilk and ﬂour mixture until fully combined. Scrape the bowl again, and beat in the lemon juice and zest. Pour half the batter into the prepared bundt pan, carefully place large spoonfuls of the lemon curd over the top of the batter, cover with the remaining batter. Sprinkle the graham cracker crumbs over the batter and gently press. Bake for 70 to 80 minutes or until a skewer inserted in the center of the cake comes out clean. Remove the cake from the oven, cool for 30 minutes inside the tin, then ﬂip out onto a cooling rack and cool to room temperature. Place the egg whites in a clean metal mixing bowl. Add the cream of tartar and whip with the electric mixer until soft peaks form. Add 15g of sugar and whip until ﬁrm and glossy. 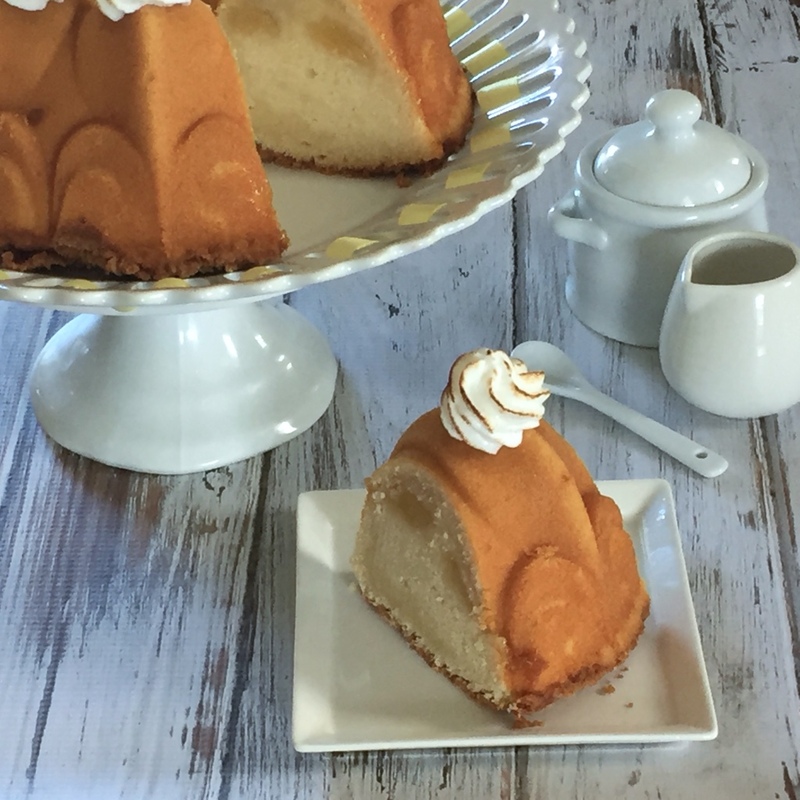 Spoon the meringue into a piping bag with a large piping tip, then swirl the meringue on the top of the bundt cake. Use a blowtorch to toast the top of the meringue and then chill until ready to serve. Those piped rosettes are ADORABLE, Felice! You really got into the spirit of the recreation and now I feel like a copout with my already Bundt retro dessert. Thank you so much for the great theme. You got everyone putting on their thinking caps and that is always a good thing. Great idea this lemon meringue pie, lovely! I can't believe my eyes..........Lemon Meringue Pie Cake, the pie is my top favorite dessert ever. 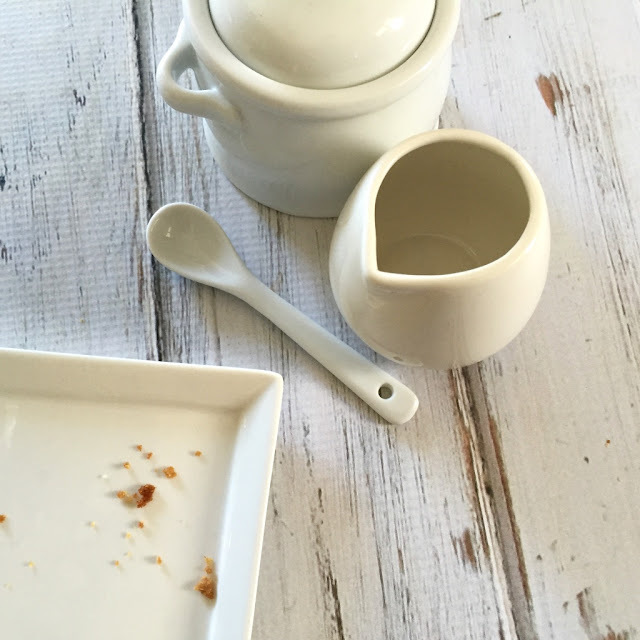 Tabby if you have milk you can make a buttermilk substitute by adding a tablespoon of vinegar to one cup of milk. If not then I would definitely try making it with sour cream and I'm sure it would be just as delicious and moist. 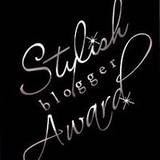 This looks soooo gorgeous! I absolutely love the little swirls of meringue on top, and the way you put the graham cracker crumbs on top before baking so they'd be the bottom "crust" was so genius! Well done! This looks so absolutely delicious to me. I must be very hungry. I had to wipe drool off of my chin. 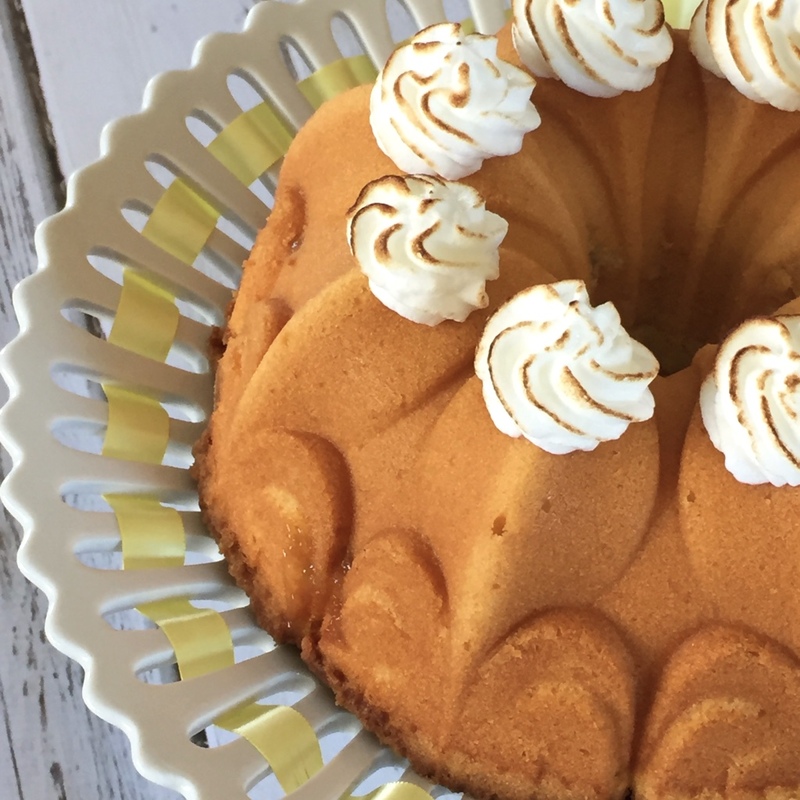 This cake looked dreamy before you even cut it, but after…oh my, oh my! Love that luscious lemon curd hiding inside! I love that you put lemon curd inside your bundt; what a great idea! hope you're having a great time in Australia. Look at those perfect rosettes! I love how you stuck true to lemon meringue pie.